film reviews and analysis | A Precarious Independence…. To quote Mark Twain, “It’s no wonder that truth is stranger than fiction. Fiction has to make sense.” True, but what happens when the “truth” is that of the world of the stage, where nothing is ever quite true or false, only shadow, and (to make matter even more difficult) associates with a still unexplained suicide of a famous real-life actress/opera-diva, Xiao Dangui (1920-1947), a “whydunnit” that cannot be resolved because the perpetrator cannot testify? 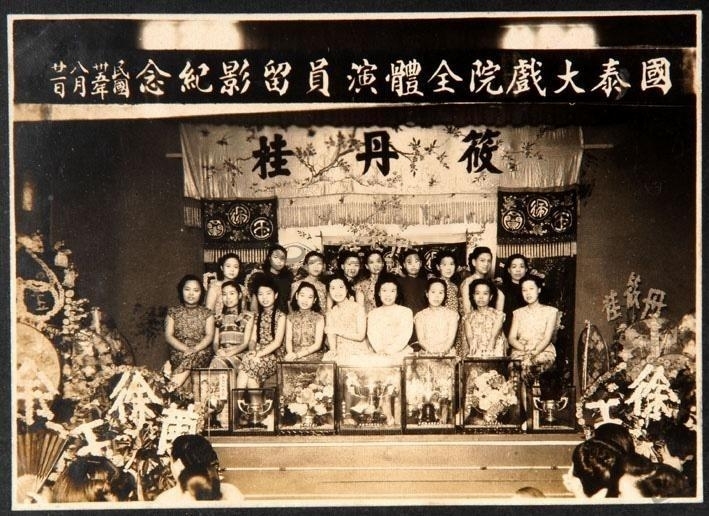 The closest Chinese equivalent of Hollywood’s “backstage musical” (houtai yinyueju) – if it were to be given a name or assigned a genre label (it has not)- would probably have to be called “backstage xiqu (“opera”): that is, films made about the inner working and psychology of the stage actors who performed traditional vernacular opera against a backdrop of galloping innovation in the way stage-music was performed. 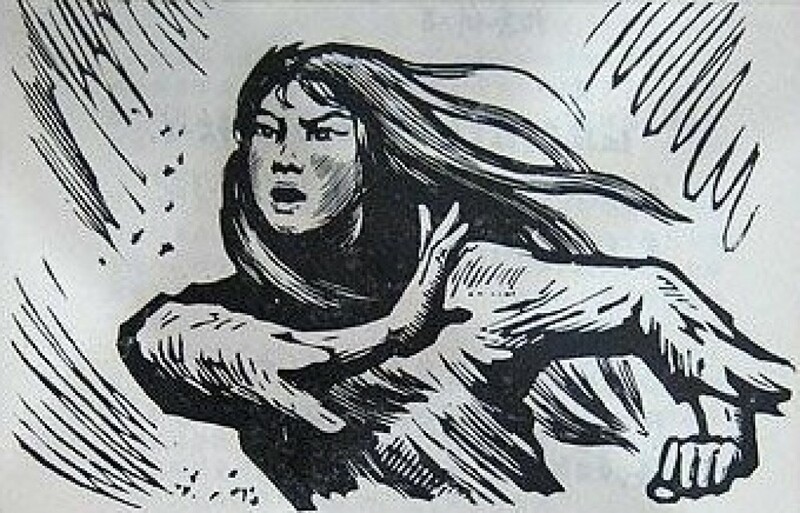 I here single out Xie Jin’s remarkably cinemagraphed “Stage Sisters” (libretto 1963, premier 1965) as the most successful undertaking of this sort, for it addresses change and competition head on, though with a loyalty to the most essential and traditional of all xiqu forms: the stripped down dockside temple performances (万年台两头红) that were a staple of the “country of waterways” in East Central (“lower Yangtze”) China, the memory of which Xie Jin (like Lu Xun) carried with him from his pre-teen years in Shanghyu, Zhejiang. As with “Singing in the Rain” (1952), the backstage theater (musical) form works perhaps best when a new technology and/or venue of production is in the process of replacing an older one, calling into question just about everything that had supported Peking and regional old-style opera (xiqu): ownership of the company and its proceeds (moving from private to pubic), the selection of material for libretti (also increasingly state-influenced); the stature of the stars and of women actors in particular (rising, at the expense of the all-male and partially transgendered casting formula, influenced by the ascent of the female filmstar who often starred in filmed opera as well as narrative film – Zhou Xuan the most famous example), to the move away from the austerity (nakedness) of older mode of performing opera, no longer in tune with younger audience audio-visual expectations, conditioned from the 1930s by film and the popularity of filmed opera (“sound film” made this possible from 1935); and finally the rise to prominence of NON-musical (non-“operatic”, if opera is taken to mean xiqu) stage drama (huaju) often re-syncretized into a “modern” opera by the addition of purpose composed, orchestrally accompanied arias or choruses using Western scales and harmonies. 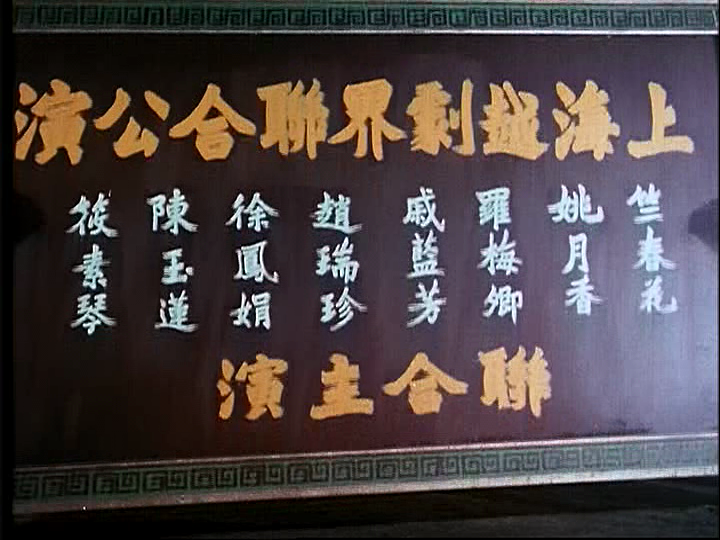 All or almost all of these changes are in play in Xie Jin’s film, though it takes a fair amount of familiarity with the literary politics and range of traditional xiqu titles to sense just how much change was in progress in the repertory of the Big City stage, and how much influence the Party was already wielding (or thus represented) by the late 40s (Lu Xun’s 祥林嫂 for example appears staged as the new style huaju “New Year’s Blessing”; and the 1945 “modern” opera White Haired Girl, usually regarded as the first “modern” style stage opera, comes on stage near the end). But there are few other such films (post-49, that is) of this historical sensitivity. The weight of politicization falls too heavily. 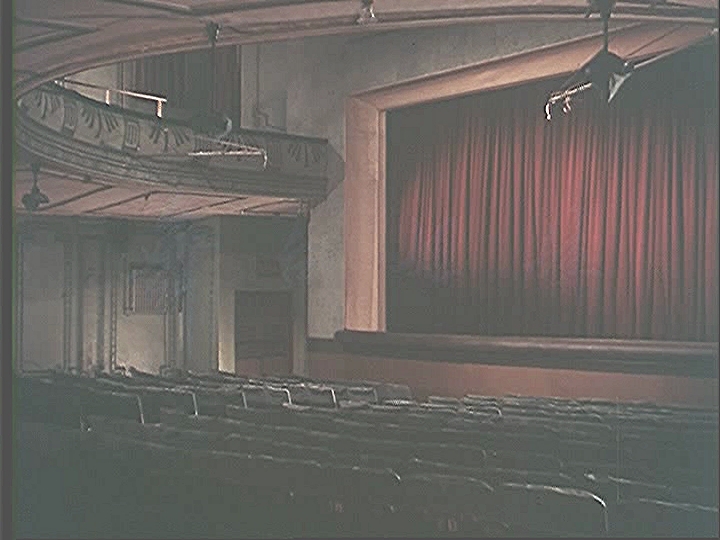 Since stage performers, from 1949 on, became full time public employees of the State, factional politics inevitably replaced theatre-gossip as the tale within the tale, at the cost of psychological realism, or projection of performance detail. 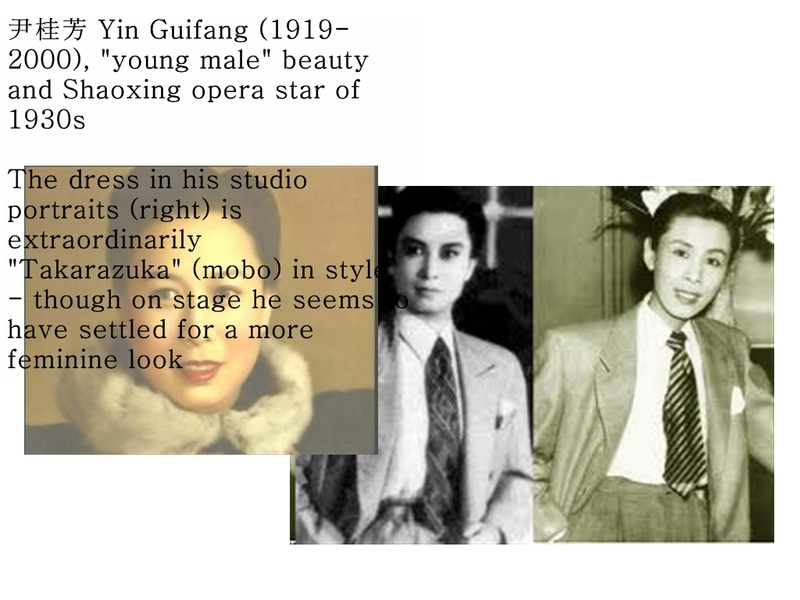 But even before direct subsumption of authority (and bankbooks) in 1949, left-right political factioning surrounds the careers of the “star” new-opera composers, Xian Xinghai (Yellow River Oratorio, 1939) and Nie Er (Yangzijiang Baofengyu, 1934), and thus blocks THEIR biopics – potentially promising backstage dramas – from being anything more than tales of heroic composers agonistes, their works left unexplored and audiences ignored. The omnipresence of politics in fact (and ironically) bears down even more heavily after Mao: in Chen Kaige’s hallmark post-reform film “about” Peking Opera , Farewell My Concubine, the Troupe and its two Stars appear for the first time in the story already victimized by totalitarian politics, making the rest of the story in essence a “backstage” account of 20th century Chinese (-colonial) politics and its seemingly inexorable culmination in the Cultural Revolution. 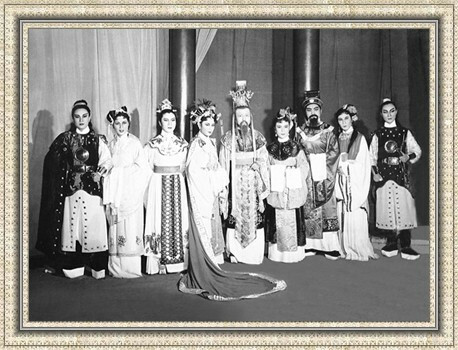 Anyone who comes to that film hoping to “look inside” traditional stage opera as a social or artistic synthesis will be grievously disappointed: for all that is ever seen of “opera” are 2 or 3 snatches from the Peking Opera that (inter alia) made Mei Lanfang famous as a dan: Farewell My Concubine. One would never even know that there were rival stars or troupes, not to mention operas-in-film or “straight” (new style) stage drama competing for attention.